Le Xerox iGen3 110 and iGen3 90 n'est plus commercialisé. 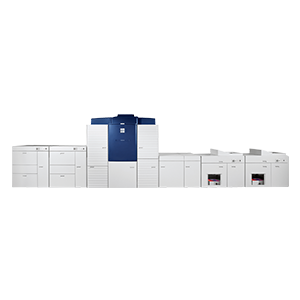 The Graphic Arts Technical Foundation, one of the world's leading centers for graphic communications research and education, selected the Xerox iGen3 to receive its esteemed 2004 InterTech Technology Award. The iGen3 press was chosen from 33 entries, heralded as one of the most useful and significant technology advancements in graphic communications. 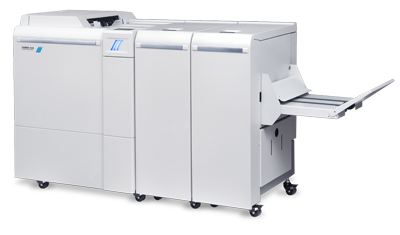 The iGen3 was cited for its technological innovation and efficiencies, as well as the bottom-line results it brings to printing operations of all sizes. Recipient: Echoes in the Ice - Artist Rik van Glintenkamp's 58-page book documents the history of Antarctic exploration. The 2004 and 2005 Gold Ink Awards, sponsored by Printing Impressions and PrintMedia, recognized the Xerox iGen3 Digital Production Press with six awards in 2004 and four awards in 2005. An independent panel of graphic artists, production managers and print buyers judged the entries. The International Association of Printing House Craftsmen honored the Xerox iGen3 Digital Production Press with seven 2004 International Gallery of Superb Printing Awards.